Employment is one of GOSO’s fundamental “Three E’s”: Education, Employment and Emotional Well-Being. Our robust employment program GOSOWorks connects participants with internship opportunities with one of over 70 employer partners across New York City. The Internship2Employment model consists of a three-month paid internship (GOSO subsidizes the wages) that can turn into a full-time employment opportunity. Madison Square Park Conservancy is one of many employer partners in our network. 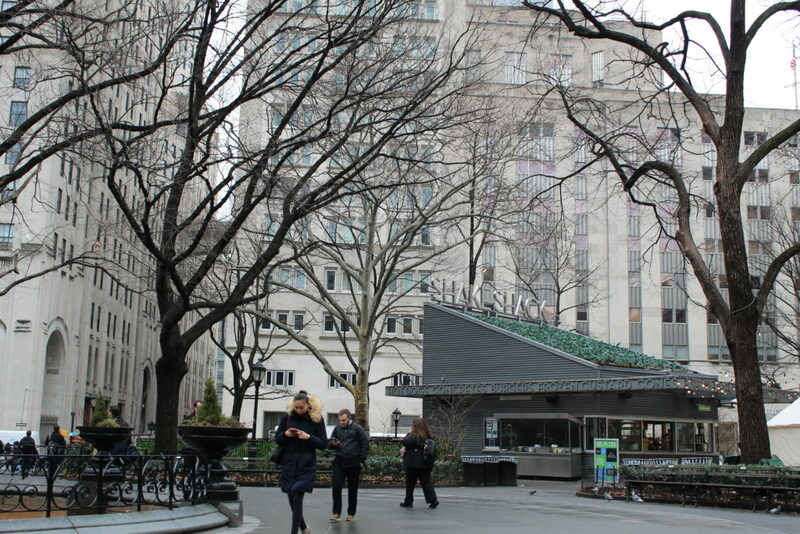 Situated in the midst of the Flatiron District, the park is a dynamic seven-acre green space that boasts art installations, stunning gardens and a Shake Shack! Two GOSO participants, Jyquone and Herbie, are currently employed with the conservancy and contribute directly to its mission to protect, nurture and enhance the park to create an environment that fosters moments of inspiration. Jyquone and Herbie have both completed internships at another of GOSO’s employer partners, Horticultural Society of New York. Through these two internship opportunities both Jyquone and Herbie have gained a solid understanding of, and interest in, public spaces and horticulture. What’s a typical day like at the park? Ryu: On average we see about 60,000-70,000 visitors per day, but on a good day we can have close to 800,000 people visit the park! Most of the people who visit Madison Square Park are not tourists, since we have so many different office buildings around us. We also have the only playground within 10 blocks, so there are always a lot of children running around! Our visitors are very interested in learning and often want to know about the history of the park, different activities going on, the horticulture, etc. They’re definitely engaged and curious! Why did you decide to partner with GOSO to provide paid internship opportunities for our participants? Ryu: We are interested in building strong relationships with local organizations that are working with young people to help them grow and succeed. Instead of simply hiring people through a random application process, we think it’s more meaningful to seek out these local partnerships and bring people on our team who have potential. What are the different roles our participants currently hold? Ryu: Jyquone and Herbie are both part of our maintenance team, so it’s their responsibility to create a welcoming space for the thousands of visitors we have each day. Beyond the daily repairs and maintenance work, they also assist with event set-up and customer service! As part of our park staff, they’re on the frontlines of communication, so they are there to answer any questions that visitors might have. Herbie has excellent communication skills and he is friendly and welcoming to the park’s guests. We know he is always a great representative for the park because he has such a positive attitude. Jyquone has really advanced a lot of his technical skills, and the projects he works on all have a consistently high-quality outcome. He takes a logical approach in his work and is a true team-player. 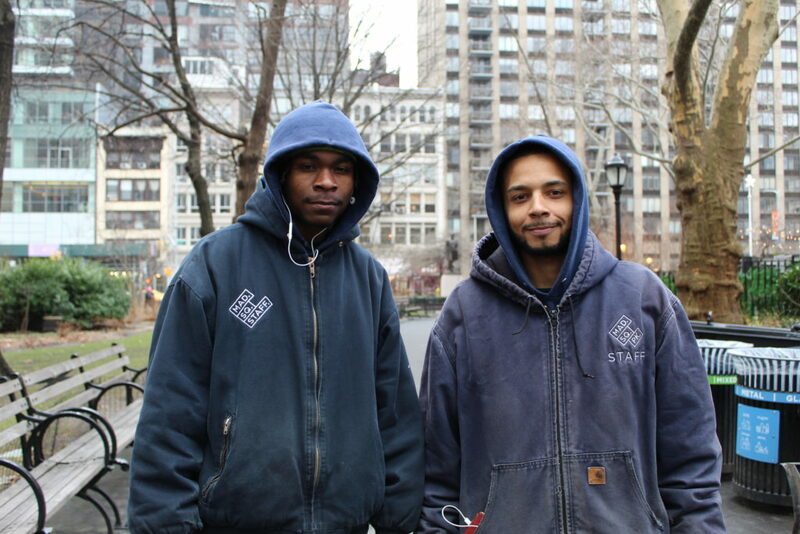 Jyquone and Herbie, what is your favorite part about working at Madison Square Park? Jyquone: I find it really rewarding to just fix things. Since having the internship here, I feel like I’ve already boosted my skills. I knew a bit about technical projects before, but can tell I’m learning a lot of new things. Herbie: There is so much history here in the park. I love the opportunity to learn more about it and all that goes into creating and maintaining a public space. GOSO participants, Jyquone (left) and Herbie, are currently pursuing a 6-month internship at Madison Square Park Conservancy.